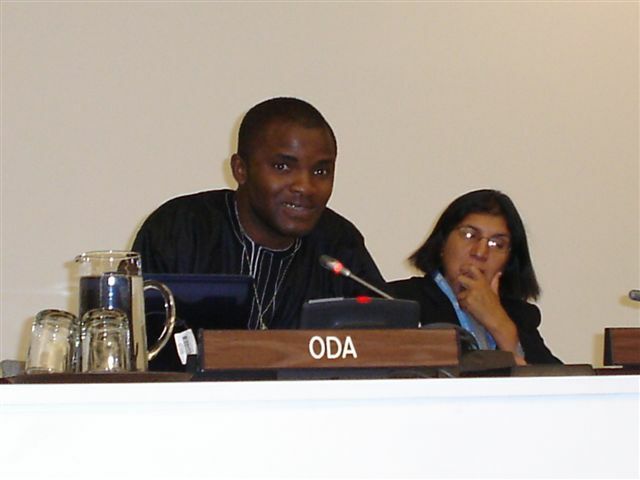 Dr. Ogebe Onazi from IPPNW-Nigeria provided a riveting presentation on a doctor’s perspective on armed violence during the Arms Trade Treaty (ATT) side event panel, “How an ATT Can Help Prevent Armed Violence,” on Wednesday, the third day of the second Preparatory Committee session. Dr. Onazi addressed the economic repercussions of the arms trade and the diversion of resources from health care — resources that are needed to treat and rehabilitate victims of gun violence. He closed with a call to action to States to “work with the medical community as a partner in your efforts to prevent death and injuries from gun violence.” For more information, go to www.controlarms.org. Helping Africa is the right thing to do. They need cancer and HIV awareness.